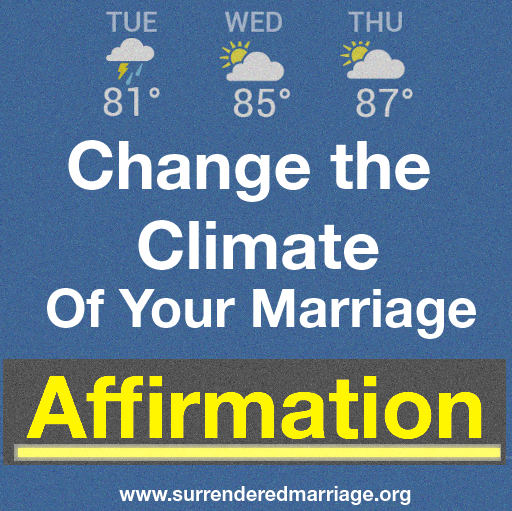 Are you aware of how the things you think, say and do affect the climate in your marriage? 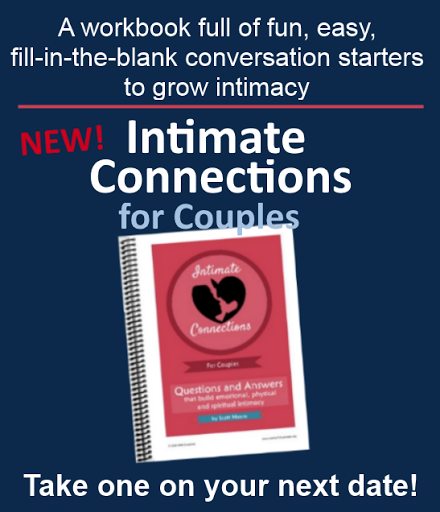 It's pretty easy to get into autopilot mode in your marriage. It's also pretty dangerous! When you get stuck in autopilot, the climate in your marriage can begin to deteriorate without you really even noticing. That's why I say that staying watchful over your marriage is so important. 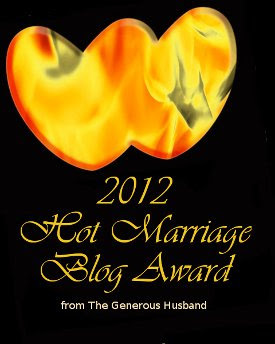 Today is the first in a series of posts about how to intentionally improve the climate in your marriage. And we begin with affirmation. Affirmation: a Big Fat Yes! If you are familiar with the 5 Love Languages developed by Dr. Gary Chapman, then you know that words of affirmation is one of the five. But even if this is not one of your spouse's primary love languages, affirming words can help change the climate of your marriage. Dr. Chapman's Love Language Devotion describes it this way. "We allow the emotions of hurt, disappointment, and anger to keep us from speaking positive words to each other, or maybe we simply get stuck in a pattern of negative comments. As a result, distance and dissatisfaction grow." He goes on to say, "Positive words can change the emotional atmosphere in a marriage. 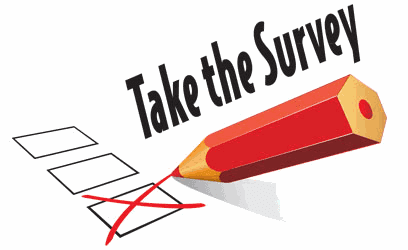 We need to look for something good in our spouse and affirm it." I love how vocabulary.com describes affirmation as "a big fat YES!" Affirmation is a climate changer! Affirmation is our hearty agreement with good. 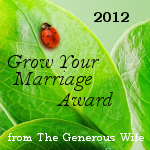 It's a wholehearted endorsement that gives encouragement and creates positive momentum in your marriage. Affirmation is more than just appreciating what your spouse does for you. Sure, that kind of outward thankfulness is important and helpful. But affirmation has an even grater impact on the climate of your marriage when it is actually about who they are, not just what they do. Their character or integrity. "I so appreciate that I can totally trust you with ______." The good things you see in their heart. "I just love the way you care for other people." Their abilities and talents. "You are such an amazing problem solver." Their personality. "It lifts my heart the way you see the good in everything and everyone." Their appearance. "Your eyes are stunning." Their destiny. "I just know you'll make an amazing team leader when you get that promotion." When you affirm who your spouse is with a big fat yes, it tells your spouse that you see who they are. And it tells them that you like what you see. "You get me! And you like me!" When you and your spouse both understand and affirm each other, it is a double blessing that a creates a wonderful and lasting positive change in the climate of your marriage.